Mango Chutney or Mango Chatni is the classic accompaniment to curry and many Indian dishes. Mango Chutney or Mango Chatni is the classic accompaniment to curry and many Indian dishes. It is made with vinegar and sugar to simply preserve the mango puree. 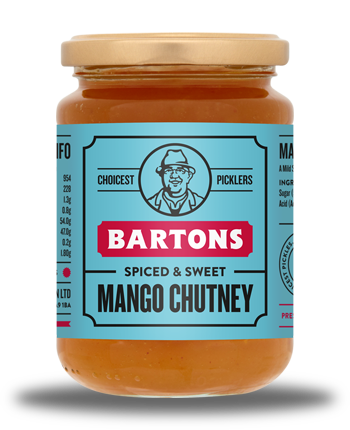 Mango Chutney is also good to eat with cheeses and makes a sweet and tart compliment to stilton. For those who need more than a jar, we also have catering sizes.